These two terms are really useful to learn in Korean because they sum up a variety of phrases in English into two simple words. The difficulty comes with knowing when to use each word respectively. 아쉽다 means to miss out on something. For example, if you’re at a party, but you need to leave early because you work in the morning, your friends can say 아쉽다. You can say this because both they and you are missing out on having a great time together the rest of the night. It's sad that we cannot meet. 난 치킨을 다 먹었어. 아쉽다. I ate all of my chicken. It's a bummer. 아쉽게도 벌써 가야 할 시간이다. Unfortunately, it's time to go. "He has failed the exam by one question. He could have passed though. 너무 아쉽다. " Whereas 아깝다 means that something is ‘so close’ or wasted. 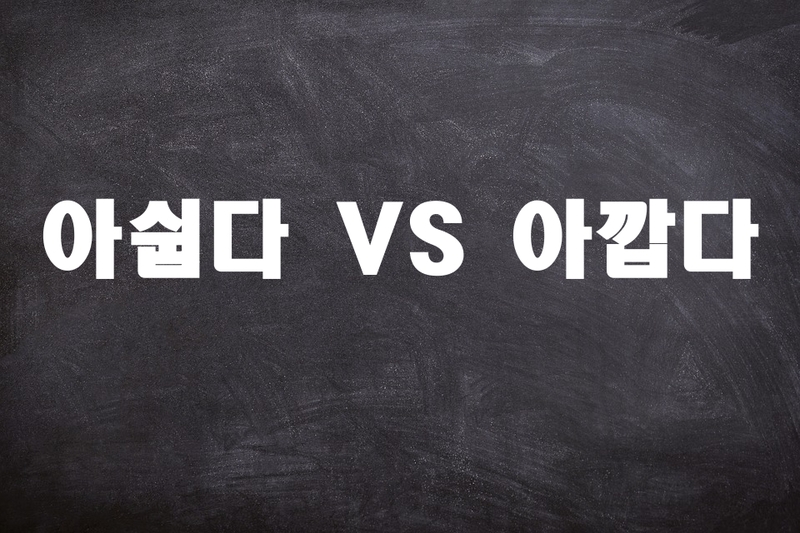 For example, if you are playing a game and narrowly lose you can say 아깝다! or if you are sharing a pizza with a friend and you are both too full to eat the last piece you can say 피자 아깝다 since it’s of a waste of food. Too bad I lost the umbrella. Their food is such a waste. That's a pity. / That's too bad.